Looks like the dad’s of the country are in for a good weekend this Sunday with it being fathers day here in the UK and the World Cup going on in Brazil. By Fathers day on Sunday, a lot of dad’s will either be celebrating Englands triumphant first game Saturday or they’ll be commiserating, either way a good bit of home-cooked food is in order! Now I may not know much about football (even at the age of 32 it is still a bit of a mystery to me) but being a guy I do know what food we like and what you and the kids can whip up in the kitchen this weekend to show dad you care – if you can drag him away from the TV for a few minutes that is! 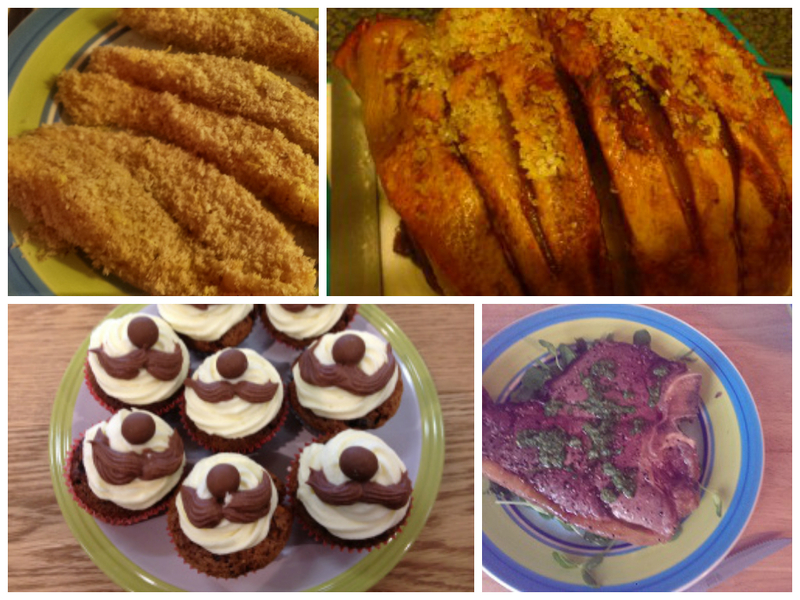 I have put together my top 5 fathers day recipes which you and your little ones can prepare together to show dad your care. It might not sound the most ‘manly’ of foods but cupcakes are easy to bake, meaning you can get even really small children involved in making them and they can really feel like they made their own fathers day gift. I’ve lost count of the different cupcakes we have baked over the years. A perfect recipe for Fathers day cupcakes are these Malteser Cupcakes Hana made for her dad a couple of years ago. 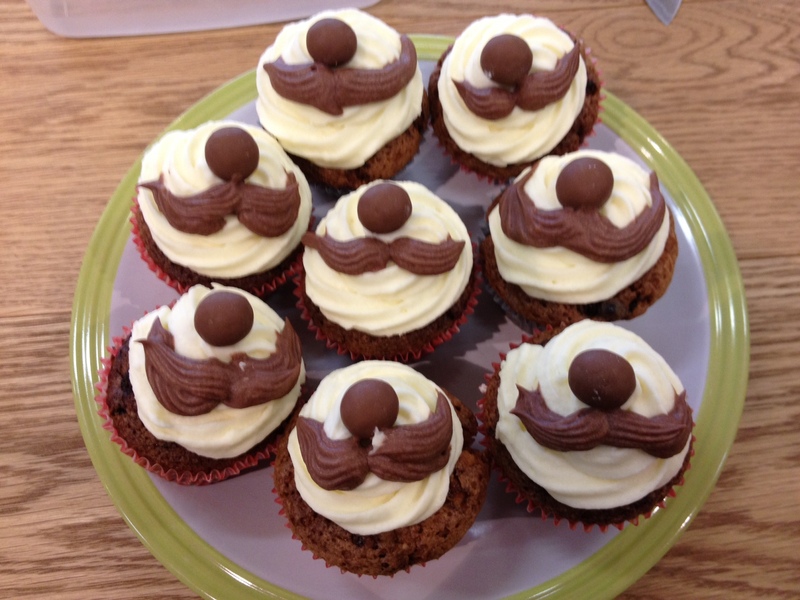 Another fun batch of cupcakes we baked a while back were these ‘Movember Cupcakes‘ complete with mustache! Dad’s are pretty much legendary in their love of a good curry. I remember watching the comedian Russell Kane telling a story of how the only time he saw his big alpha-male dad cry was when his favourite curry house closed down. Curry is pretty synonymous with ‘dad’ activities like the footy and a beer. Treat him to one of these brill curries we have tried out in the past. The best really does have to be Clinton’s best ever curry, the recipe came from a friend of Hana’s and it is easy to make and really tasty. 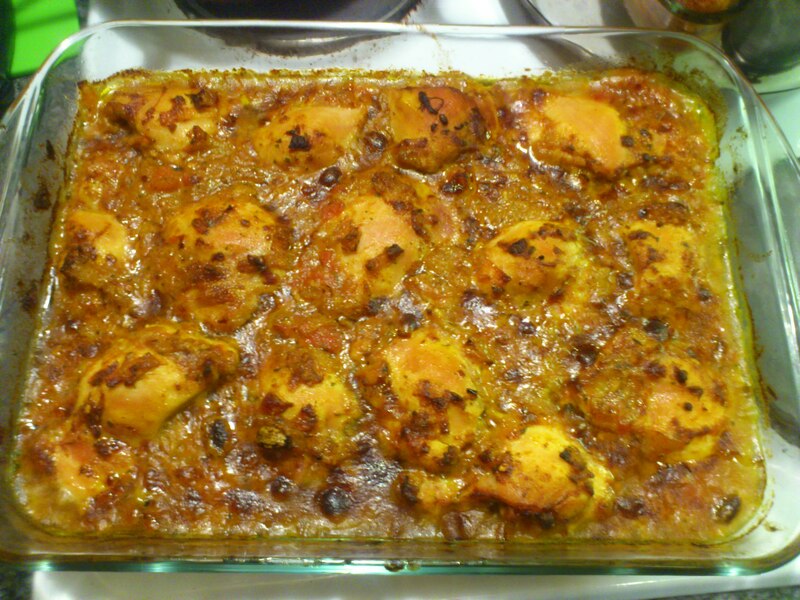 Or for something a little different try this Pheasant Curry we thought would be a great alternative Christmas dinner. It’s Fathers day, it’s a Sunday. Why break away from the classics? Stick with a traditional and show dad you love him by cooking a Sunday roast. I think people are often put off cooking it because there are lots of different things on the go at once, but get your timings right and it can be a really easy meal to prepare. What’s my suggestion for fathers day? 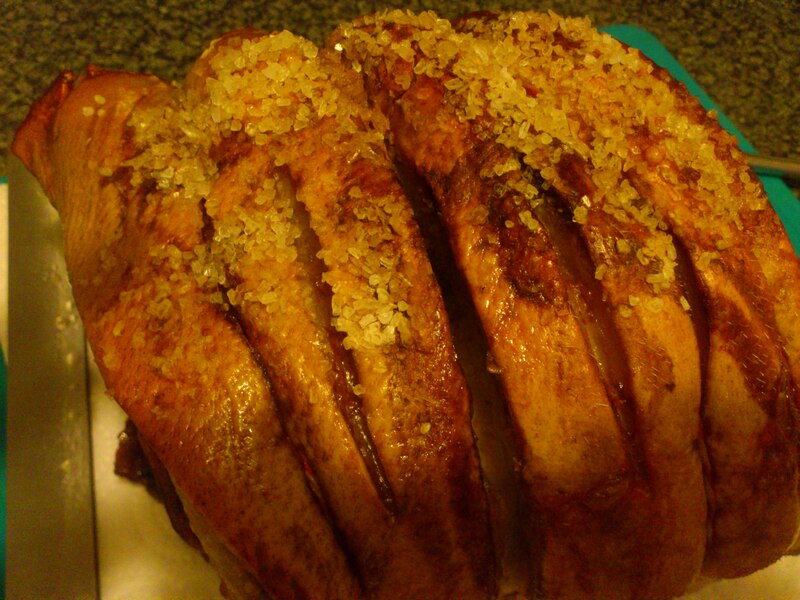 Why not go with this gorgeous Roast Pork with Crispy Crackling and delish mustard gravy. You can’t beat it! An awesome T-Bone Steak which will be coming up soon! Steak, it’s the ultimate man-food and as a treat for your dad, you really can’t beat it. A simple Steak and Chips has to be one of my favourite meals to make and eat. You don’t really need to do much – other than to marinate it and serve it with some good home made chips. 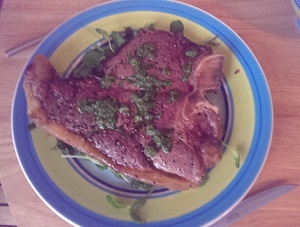 Try this Jamie Oliver recipe for Steak and Salsa verde which I’ve tried before and really loved. Take your dad back to his childhood with this classic family-favourite. Everyone remembers fish fingers and chips from we were children but trying them again as an adult can be a little disappointing, may be it’s because they often aren’t cod these days or maybe we just remember them as better. 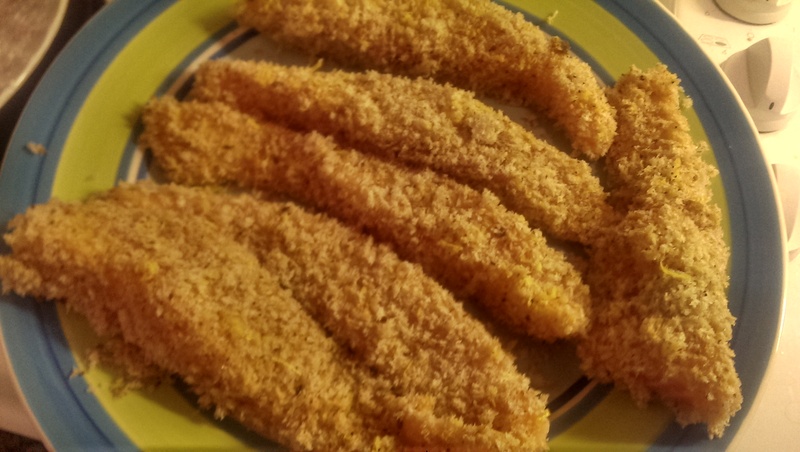 I tried upping-the-ante by making my own home made salmon fish fingers. You can get children involved in making these but be careful as you’ll be dipping the raw fish in egg white, so watch those little fingers.